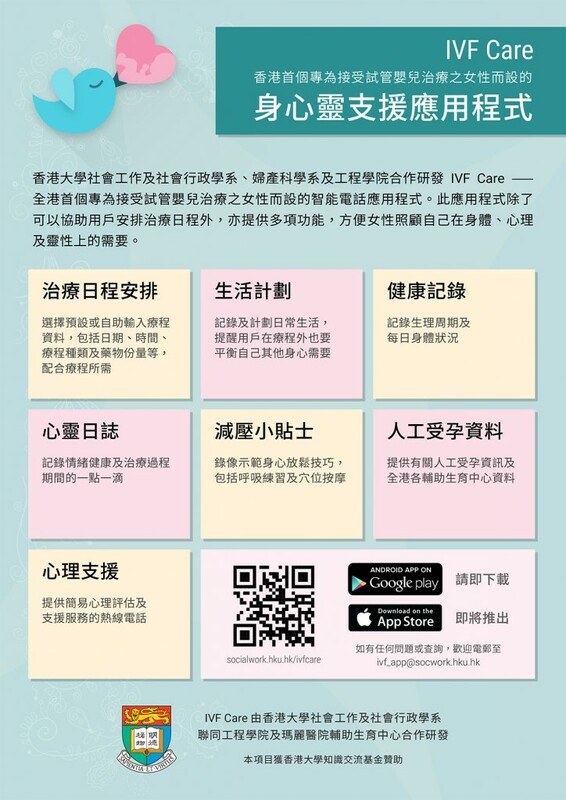 With the support from HKU Knowledge Exchange, a phone application ‘IVF Care’ is coordinately presented by Department of Social Work and Social Administration and Department of Obstetrics and Gynaecology. This application is specially designed for women undergoing IVF treatment, which can assist them in arranging treatment schedule and recording physical health. It also provides body-mind-spirit exercises viewing and information about assisted reproductive technology in Hong Kong. The mobile application will be released soon.